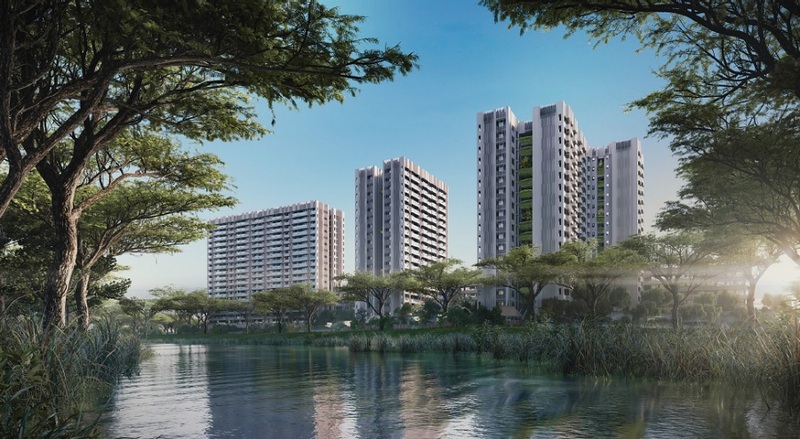 The Tre Ver is an upcoming residential development that is located in Potong Pasir estate, Central Region of the island. The site of The Tre Ver was previous known as Raintree Gardens. It was a privatised Housing and Urban Development Company estate which comprises of two 12 storey and one 7 storey maisonette blocks with a total of 175 units. The land of The Tre Ver was put up for sale in September 2016. It was acquired by UVD (Projects), a joint venture of UOL Group and United Industrial Corporation. The Tre Ver has a total land size of 201,405 square feet with a gross plot ratio of 2.8. This 99 years leasehold development will comprise of approximately 750 residential units upon its completion. 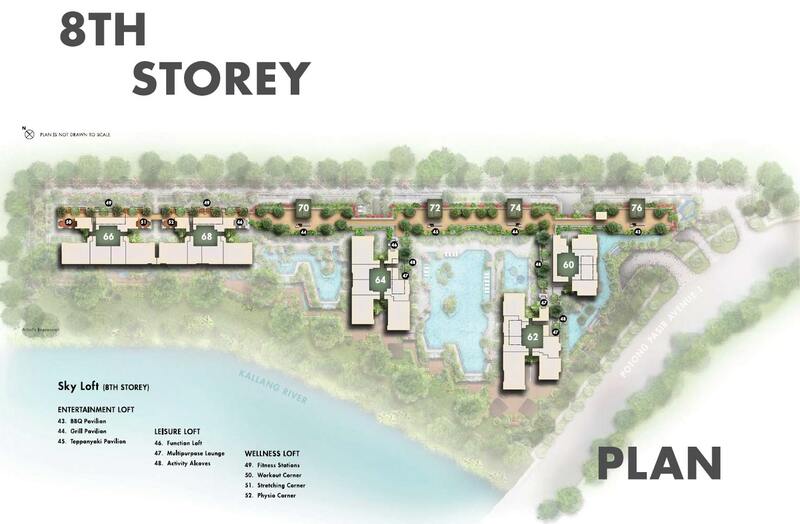 The Tre Ver’s site presents a unique offering as it enjoys a direct frontage of over 200m onto the Kallang River. 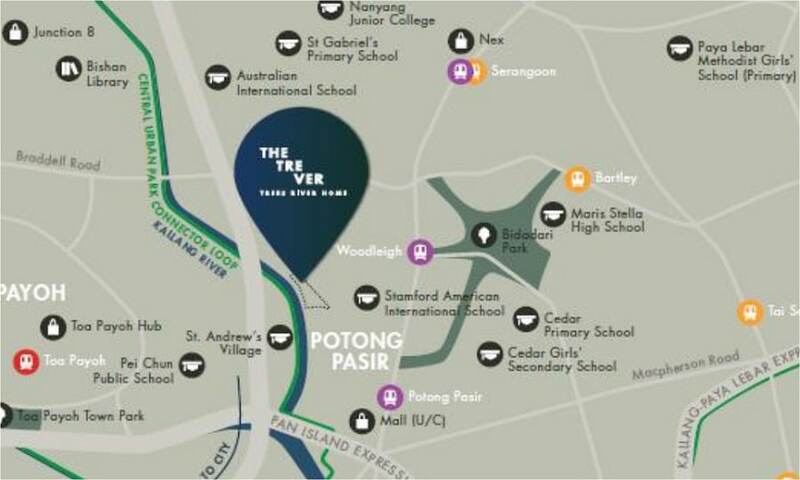 Other developments that are within The Tre Ver’s vicinity include Poiz Residences and Poiz Centre (a mixed development located next to Potong Pasir MRT Station), Sennett Residences, Sant Ritz, Blossoms @ Woodleigh, 8 @ Wooleigh, Euro – Asia Park, Parc Mondrian, The Venue Residences and Shoppes and also Nin Residences. The Tre Ver is approximately 800 m away from Potong Pasir MRT Station which runs the North East Line. This train service will bring its future residents directly to Dhoby Ghaut MRT Interchange Station, located at in Orchard Area, which is just 4 stations away. The Dhoby Ghaut MRT Interchange offers future residents of The Tre Ver to convenient transit to the other MRT Train lines i.e. The North South Line and the Circle Line. The Little India MRT Station, which is 3 stations away also offer the newly completed Downtown Line. These allow future residents of The Tre Ver to be able to commute easily to all parts of the island. The Tre Ver is approximately 10 minutes’ drive to Marina Bay Financial Centre and 8 minutes’ drive to the Prime Orchard Shopping District. The nearby Central Expressway (CTE), Pan Island Expressway (PIE) and also the Kallang Paya Lebar Expressway (KPE) also allow drivers to access to parts of the island from The Tre Ver easily. The upcoming Poiz Centre which comprises of 84 commercial units will provide future residents of The Tre Ver with their necessary shopping, dining and leisure needs without the needs to travel far from home. Alternatively, future residents of The Tre Ver can also head down to the nearby mega shopping mall in North East of the island, i.e. NEX Mall which is just 2 MRT stations away. 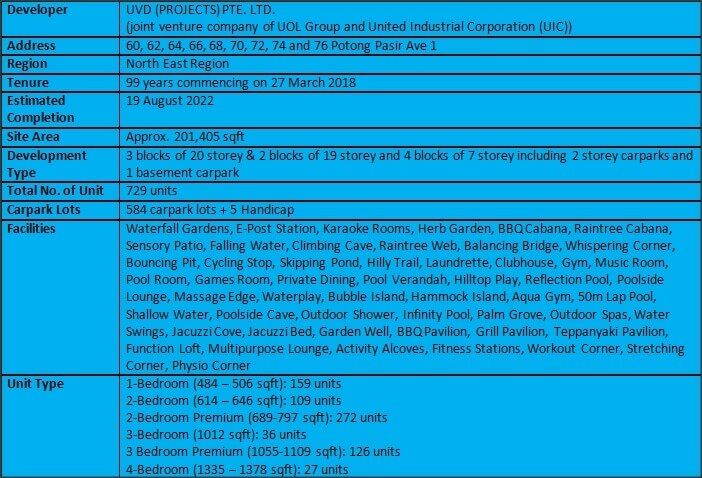 The Tre Ver is also close to many wet markets and food centres such as Lorong 7 Toa Payoh Block 22 Food Centre, Lorong 8 Toa Payoh Block 210 Market And Food Centre, Lorong 5 Toa Payoh Block 75 Food Centre, Toa Payoh Vista Block 74 Market And Food Centre, Lorong 4 Toa Payoh Block 93 Market and Food Centre, Geylang Bahru Ville Market And Food Centre, Bendemeer Road Block 29 Market And Food Centre and also Whampoa Makan Place and Market. For families with school going children, The Tre Ver is close to St Andrew’s Junior School, Pei Chun Public School, First Toa Payoh Primary School, Cedar Primary School, St. Gabriel’s Primary School, Yangzheng Primary School, Maris Stella High School (Primary), Bendemeer Primary School, St. Gabriel’s Secondary School, Hong Wen School, St Andrew’s Secondary School, Cedar Girls’ Secondary School, Bendemeer Secondary School, Chij Katong Convent, Zhonghua Secondary School, Maris Stella High School (Secondary), Beatty Secondary School, St. Andrew’s Junior College and Nanyang Junior College. Accessibility – The Tre Ver is easily connected to main roads and expressways. 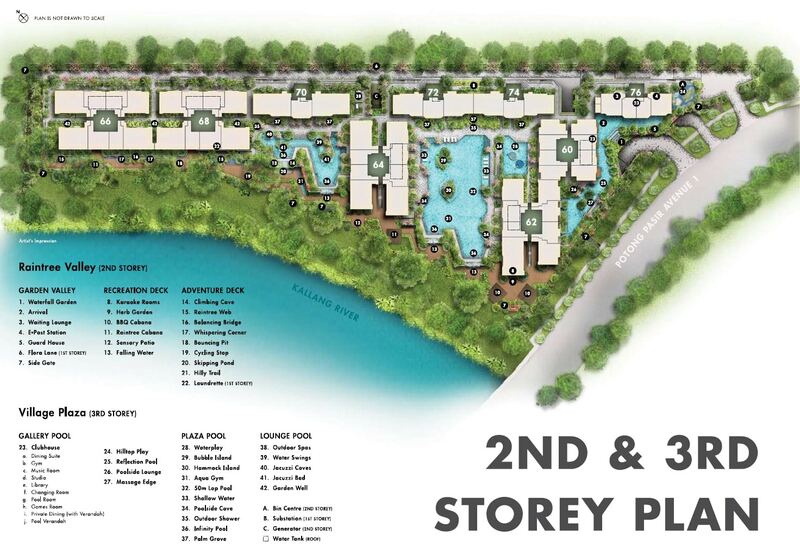 Locality – The Tre Ver is just minutes’ walk to Potong Pasir MRT Stations. Good View – The Tre Ver is offers frontage of Kallang River. Tranquility – The Tre Ver is nestled in a quiet enclave. Family Living – The Tre Ver is close to many schools. Want to be a proud owner of a unit in The Tre Ver ? Thank you for your interest in The Tre Ver !